Check out Jobien’s LinkedIn profile. 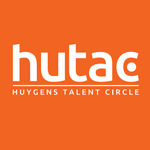 HUTAC event: 2011 Conference | Thinking Forward: Positioning yourself in the Netherlands | Workshop: Selling? Use your network!